from the album What’s the Weather? 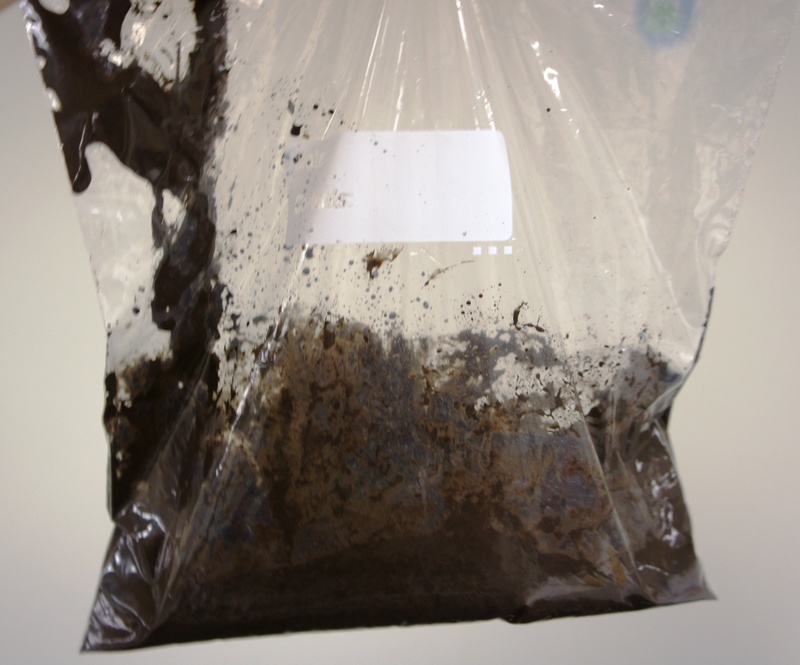 Ask your group “How is mud made?” or “What do we need to make mud?” (Dirt and water, of course!) Pour some dirt into your ziplock bag. Then add some water and close tightly. 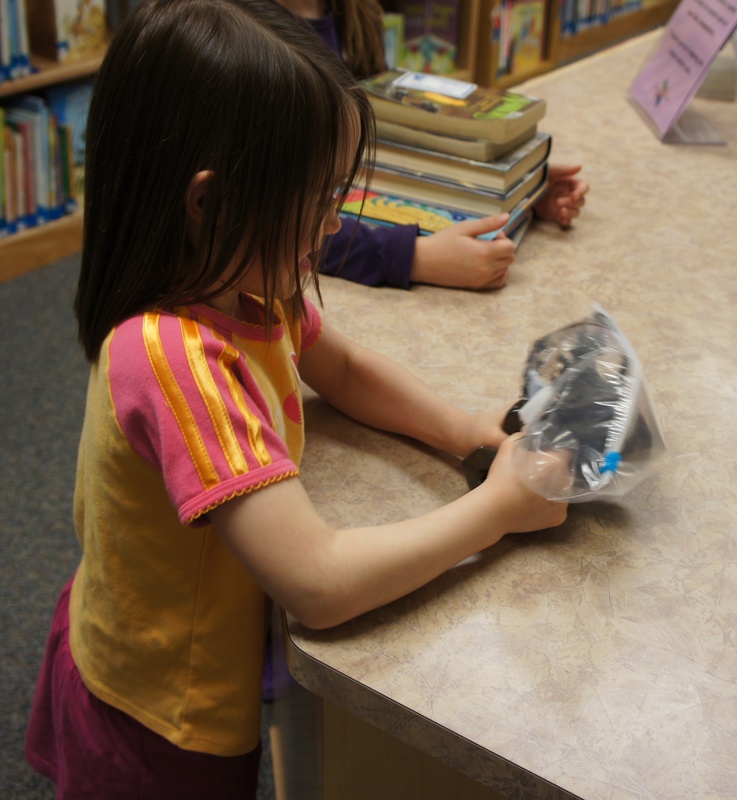 Let each child have a turn squishing the bag to make mud. Ask them what the mud feels like. The children in this story have lots of fun playing in the mud, covering themselves in the sticky stuff from head to toe! 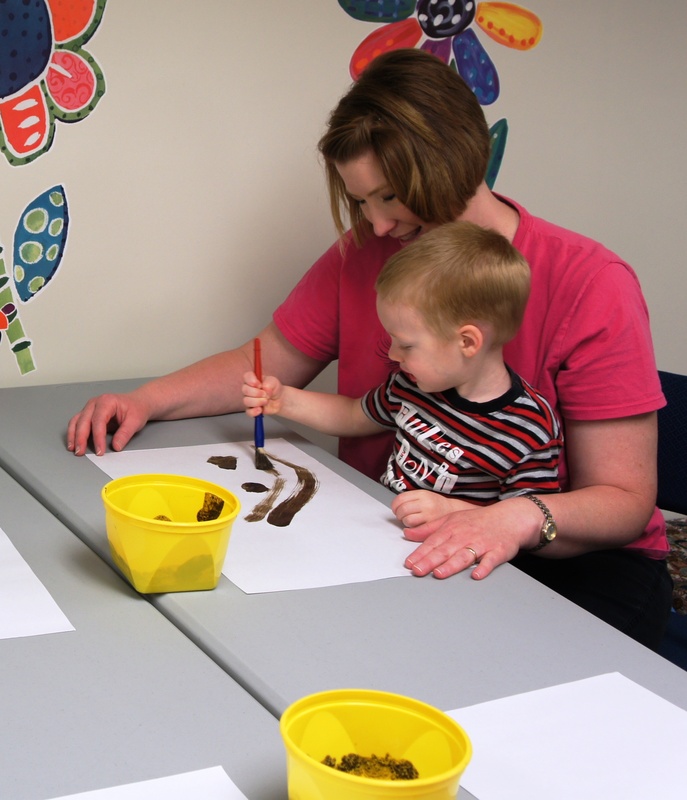 Mix up some dirt, water and white glue, and then let your children have fun painting with it! Note that potting soil doesn’t work well for this; you’ll need some plain ‘ol dirt from your yard. April 29, 2012 in Spring, Toddler Storytimes. Love it! Thanks for the great ideas! I have to say that this is one of the more creative storytime themes I’ve seen! 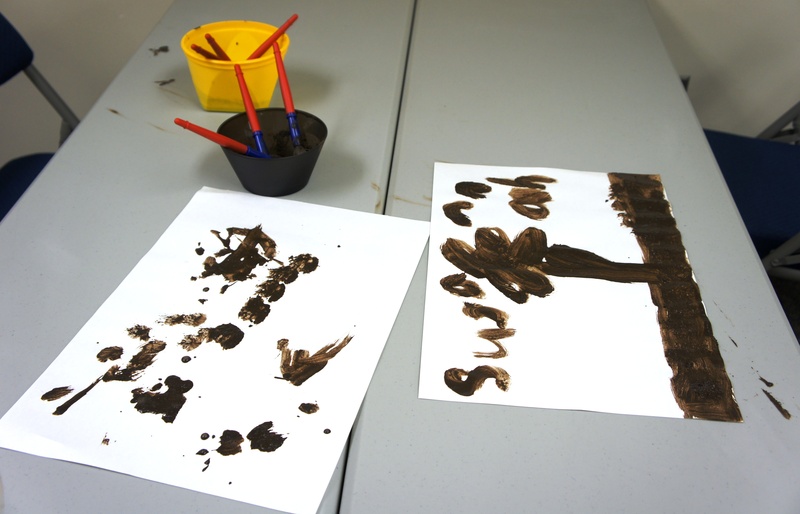 I love the idea of making mud and having the children paint with mud! I love your piggy rhyme and the printable! When I clicked on the printable clip art it directed me to Amazon to a Velcro dot product. Is your clip art still available? Thanks so much.